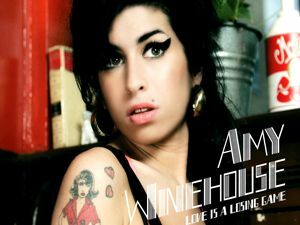 Singer "has a few songs already"
Could a new Amy Winehouse album finally be on the way? She's won countless awards and sold millions of records, but now Amy Winehouse has received the ultimate accolade: a waxwork model at Madame Tussauds. Unveiled earlier today, the model features Winehouse in the dress she wore to the 2008 Brit Awards and even replicates her famous tattoos. More importantly, it seems that the troubled star may finally be about to get back to making music. Her father Mitch told the BBC that "she has two or three more live gigs then she will be working on her new album. She's got quite a few songs already". About time, too, we say - it's been getting on for two years since Back to Black was released, so some new Winehouse material is long overdue.